Constructed of stainless steel, with two high quality stainless steel gates and a center lock made of tough, durable plastic. With the S-Biner Taglock, you simply clip the ID tag (or tags) to one gate and the D-ring of your pet's collar or harness to the other. Then, with a simple twist of the center lock, the gates securely lock and stay that way until you twist it open again. 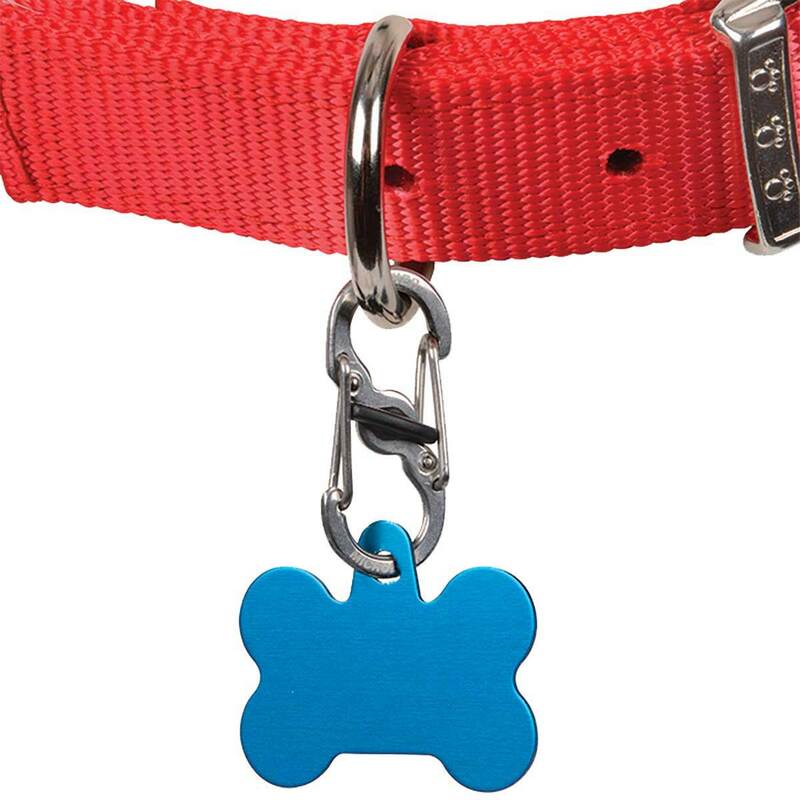 Sturdy, water-resistant, and best way to keep your pet's ID tags where you want them (on your pet! ), and also makes adding or changing tags a breeze.